I spent last weekend working with Project: Community Computers finalizing our upcoming project. It's great to see the passion these guys have in our face to face meetings. I had the pleasure of meeting another member of the group during his recent trip to Denver. 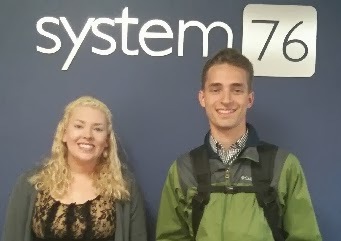 Kiefer hung out at System76 all day Friday and shared videos of communities they've donated computers to. We had a nice trip to the Denver Zoo on Saturday and a passion-packed work session afterward. P:CC sets up computer labs around the world, creating communities of Ubuntu users with recycled hardware and laptop donations. With a strong focus on providing laptops to nonprofit organizations in Milwaukee and the various Ubuntu labs deployed in other countries, Project: Community Computers has successfully launched more than 17 Ubuntu computer labs worldwide and various individual donations. Every lab or donation from P:CC has in some way, helped an individual or community embrace the benefits of technology. After watching the video interviews of people they've given computers to, it's clear that they are truly making a change. I am blown away by the impact they are having on a local and global scale. It just doesn't get any more Ubuntu than this. The Indiegogo campaign to fund their 2014 goal is kicking off November 1st. I've personally put a lot of work into the campaign and can't wait to get started! I truly believe in what Project: CC is doing and I'm excited to see the results of the campaign so they can achieve their goal in 2014.